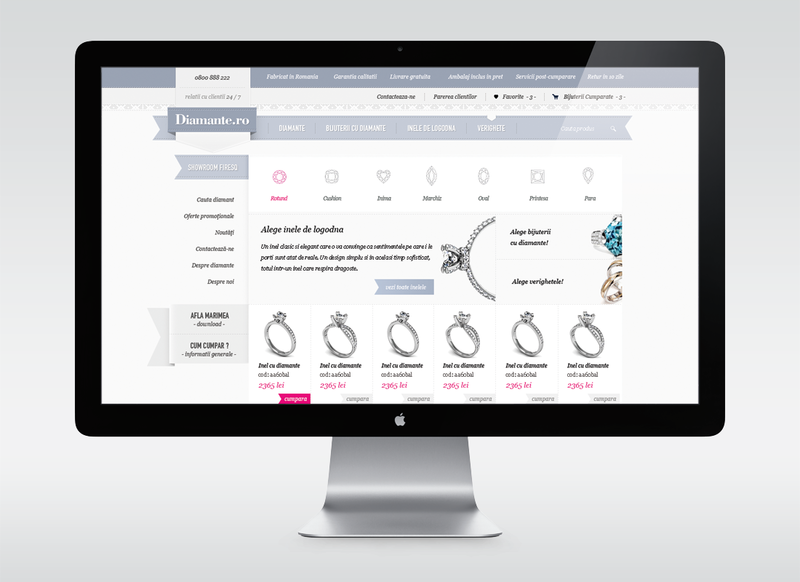 Diamante.ro is an online jewelry seller and manufacturer. Having their own workshop they are able to design custom jewelries, to meet the highest standards and satisfy pretentious clients wishes. 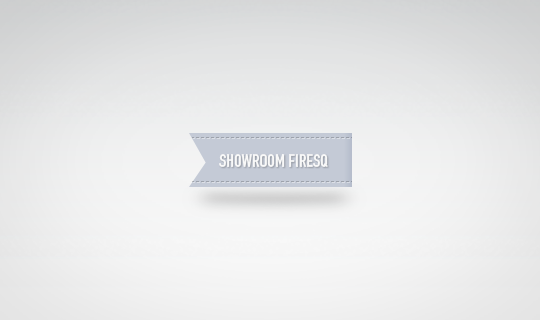 We were hired to design the website. 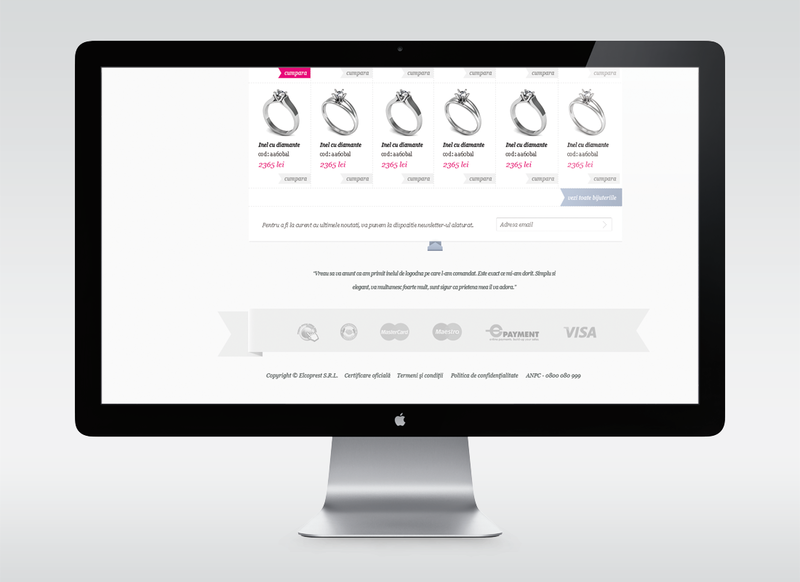 Right from the beginning we've gone with a clean look that enables the jewels to come forward and make the buying process an easy one.